The Ivory Coast’s GDP growth rate overtook that of Niger in 2013, putting its growth above that of any other OHADA country. This group of African nations has a shared foreign investment process and set of business laws. Ivorian economic growth has led this bloc continuously since 2013, consistently achieving rates over 8%, and has just reported 2015 growth of 10.3%. 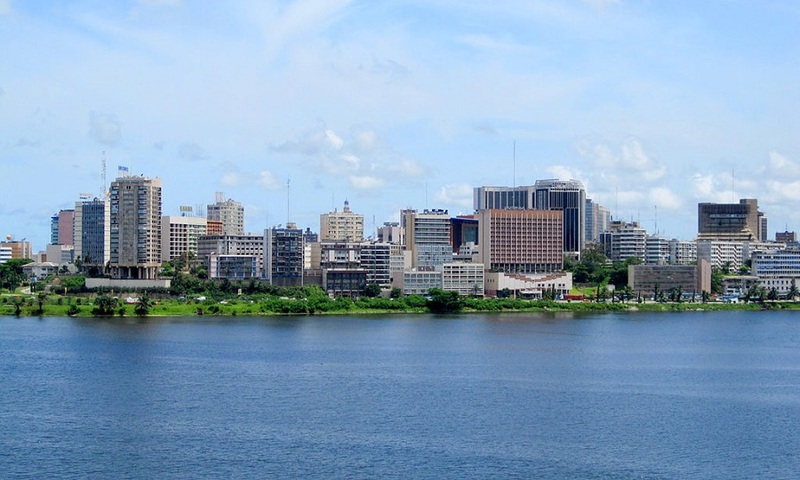 Working from the same regulatory base as its neighbours, what is the Ivorians’ secret sauce? Whether due to the law or large numbers or otherwise, the Ivory Coast’s growth rate had been on a negative trend since 2012, before rebounding last year from 8.6% to 10.3%. 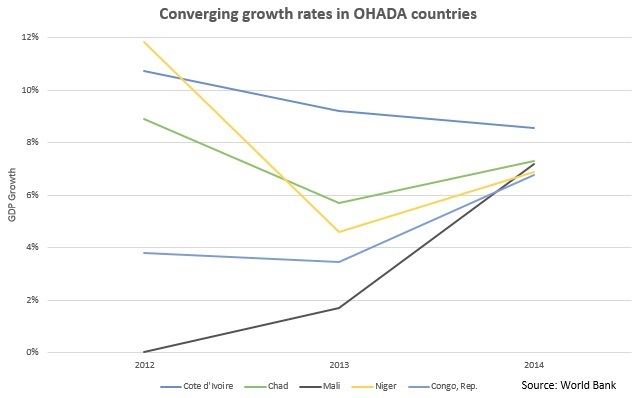 Meanwhile in 2013 and 2014, the other members of OHADA’s top five fastest-growing economies (as of 2014) have converged, with Chad, Mali, Niger and Congo all enjoying very similar growth in 2014. While many fast-growing African economies rely almost entirely on the export of commodities to support themselves, the Ivory Coast has one notable specialized export: special purpose ships such as floating docks, dredgers and fire-floats. Trade in these ships drove 13% of Ivorian exports in 2013, for an export value of US$1.73bn. While commodities do make up almost all of the remainder of the country’s exports, led by US$2.73bn worth of cocoa beans, the cocoa industry has some higher-value activity in Cote d’Ivoire as well. Cocoa paste, cocoa powder and cocoa butter together account for nearly 10% of export value, pointing to an active processing industry. Given the commodity-driven nature of the region’s wealth, a thriving shipping and export industry has been valuable to the Ivory Coast, which has one of the longest coastlines among OHADA countries, most of which are either landlocked or, like Togo and Benin, have minimal coastal area. It therefore acts as a conduit for much of the region’s exports. Although Europe is the Ivory Coast’s largest export destination, the rest of Africa takes nearly as much of the country’s produce. Ghana and Nigeria lead this, being two more prosperous West African nations outside of OHADA, which are capable of processing or repackaging much of what is sold internationally by the Ivory Coast. Somewhat surprisingly given Cote D’Ivoire’s French history, Germany was the largest European importer of Ivorian goods, accounting for 8%. France was not far behind, with 7.7%, and is the Ivorians’ third-largest export destination overall. Trading with the country can be tricky for westerners, given that Cote D’Ivoire remains subject to some sanctions. As the effect of these begins to matter less, the risk will decrease and this will presumably increase the growth enjoyed by the local economy. In the meantime, how long can they keep up the current run of growth ahead of its OHADA partners?